More Distance from Older Children – As children age, they often want more privacy. Of course, many parents welcome increased distance from the noisy antics of teenagers, as well. This setup can benefit both parties who might want more independence from the other. 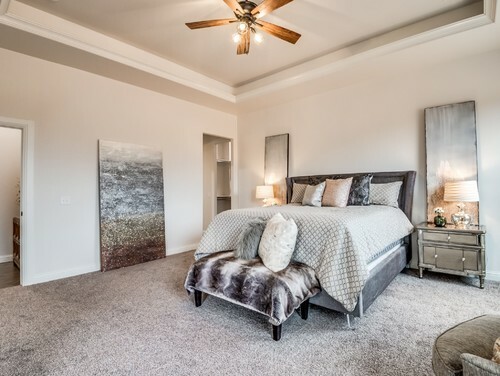 Privacy and Convenience for Guests – If you have out-of-town guests stay with you frequently, having a large bedroom and connecting bath might help them feel more comfortable. No one has to share a bathroom, and they have enough separation to feel relaxed and comfortable. Convenience for Multi-Family Living – Regardless of the current situation, it never hurts to plan ahead. 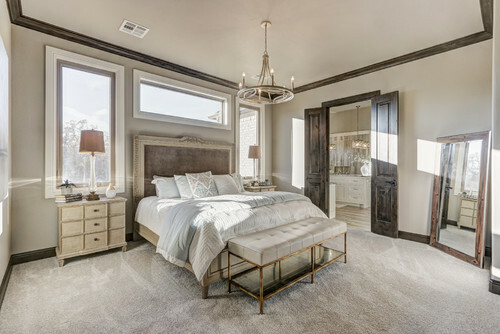 If you intend to care for aging parents in the future, having a downstairs master suite could provide the ideal configuration. Their own space lets them feel like part of the family but gives them enough separation to feel independent. It also keeps them from having to go up and down the stairs, which can be problematic for anyone with advanced age or disability. Effortless Access – Having the master suite downstairs works better for anyone with a disability or recovering from injury/surgery. Even if all family members are in good health, this safety net can provide peace of mind. You’ll never have to circumvent the many problems that can come with stairs. A Home Office – Thanks to technological advancements, more people than ever work remote. To make working from home effective, however, you need a fully-functional work space. The connecting bathroom comes as a bonus, so you can feel distanced from all distractions while you clock in a full day’s work. In summary, a main level master suite gives you options. Two-story houses provide many conveniences, but stairs come with a variety of issues to consider. When at least one major bedroom—and attached bathroom—sits downstairs, you have a way to play with household organization. More Distance from Young Children – While adolescents and teenagers can do a lot for themselves, babies, toddlers and younger kids require more physical care. Although cameras and baby monitors make it easier to hear when young ones need you, traversing the stairs several times a night might grow tiring. Proximity to Main Living Spaces – Main rooms can get noisy, and this can frustrate anyone who wants to turn in early. Anyone entertaining in the living room, preparing meals for the next day, or simply watching television can generate distracting noise. This setup can also prove tricky for spouses who have different work schedules (someone with a night shift or unpredictable hours in emergency services). In these cases, daytime sleep is a must, and a rowdy household can cause friction. More Levels to Heat/Cool – Some people prefer single-story homes. Period. Maybe they want to downsize or the idea of heating and cooling two levels feels daunting. Also, stairs create issues for anyone who struggles with mobility. As you can see, having a master suite downstairs makes sense in many ways. For some, though, the disadvantages of split-level living are too significant to overlook. 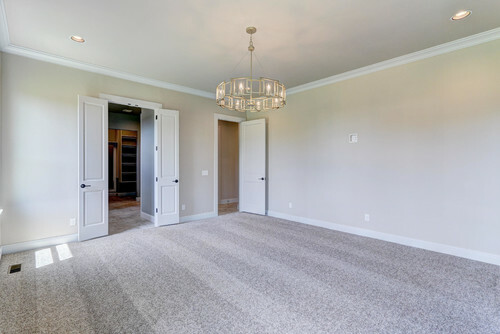 Fortunately, Silver Stone Homes understands the struggle of finding the ideal floor plan, which is why we offer amazing single-story options and some that feature a main-level master suite. With us as your partner, the possibilities are endless.